Fancy a holiday in Marsala? Take all the time you need to browse carefully our selection of holiday rentals in Marsala area, and discover one of the most fascinating towns of the island: founded by the Phoenicians in 9th century BC and home of the prestigious Marsala wine. 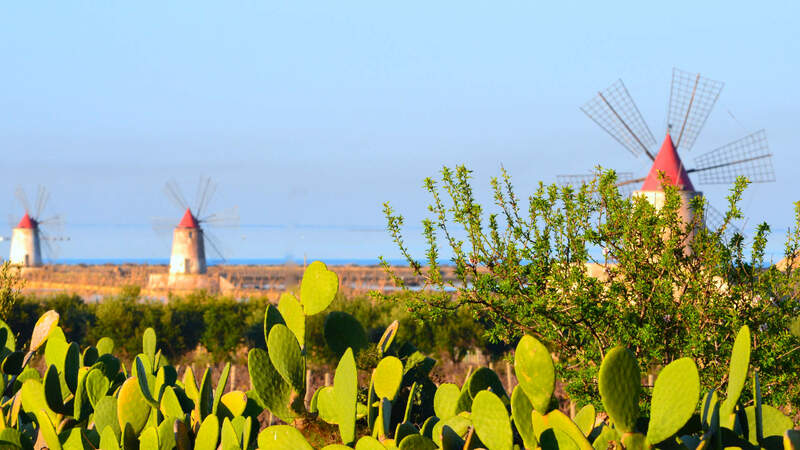 The elegant and vibrant city of Marsala lies on the westernmost point of Sicily. It is one of the most beautiful towns in Western Sicily. Our villas to rent in Marsala and surroundings are the best accommodation you will find in the area. The town is best known for her delicious wines as well as her stunning golden sandy beaches. The clear waters are perfect for divers and kite surfers alike. The city centre is rich with buildings in the majestic Sicilian baroque style. You can also visit the picturesque and exclusive wineries. They will be delighted to offer you a taste of Marsala wine. It is actually best served with homemade cakes, especially the delicious local almond pastry. We suggest you to visit the beautiful surrounding countryside, it is really peaceful and delightful. Our Marsala holiday rentals are typically located on quiet hilltops overlooking vineyards or off little picturesque country roads. They can also be set amongst the enchanting salt pans with ancient windmills that are still working and make for a perfect, romantic setting especially at sunset. The nearby “Stagnone” lagoon is kite surfers’ favourite spot on the island, who come from all over the world to practice their challenging sport. The wind that always blows in this part of the island makes for a few enjoyable hours. One of our holiday homes in Marsala can be also a perfect starting point for your daily trips to the charms of the surrounding areas. You’ll see the island of Mothia right before you as you lie sunbathing on the beaches around the city. You’ll find boats that can take you to the ancient Phoenician base in the city’s port. Near by you will find the beautiful nature reserves of Stagnone salt pans and Capo Feto, with its cool water and long white sandy beach, reminiscent of a Caribbean beach. A few kilometers further along are both Mazara del Vallo with her colourful port. It contains an authentic Arabic ‘casbah’. Also nearby is the enchanting fishing town of Trapani. From there you can catch a ferry to the Aegadian Islands. Don’t miss the rocky cliffs nearby Favignana over the crystal-clear sea or the medieval hamlet of Erice, at the top of Mount St. Giuliano. Booking one of our villas to rent in Marsala is a great opportunity to feel refreshed especially during the hottest months. Enjoy also the archaeological sites of Agrigento (with the celebrated Valley of the Temples) and Selinunte that demonstrate the powerful cultural influence the Greeks had upon Sicily. Marsala is the ideal destination for all culture and history lovers. 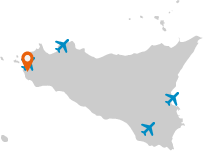 If you are looking for a wider range of accommodations take your time to browse our luxury villas in Sicily selection.